Security Should Be a Business Necessity, Not a Luxury! We know how much time, money, sweat an yes, tears it takes to start a business – we are business owners ourselves. When creating your business plan, we are confident you created a working budget based upon projected sales and services rendered. Whether you have a storefront, a large retail store, a restaurant or an industrial park location, security and safety should be high on your list of priorities – for yourself and your employees! If we could wave a magic wand, we would grant EVERY SINGLE BUSINESS OWNER a state-of-the-art security system with cameras. 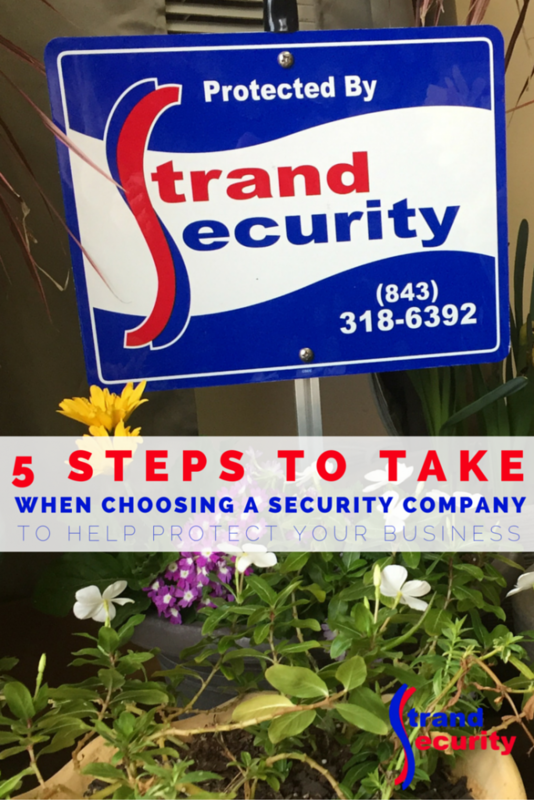 From experience with working with many, many, many local Myrtle Beach and Maryland business owners, we know that security systems and cameras can help with staff turnover, theft prevention, training and much much more. All of these issues cost money – so by having a security system in place, you can actually safe money! 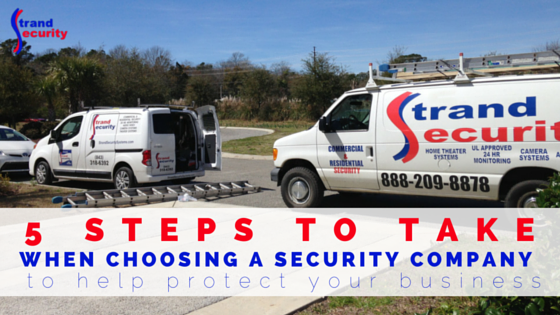 When you are ready for a security system for your business, you’ll want to work with the best company! If, when you call this company, you are being treated rudely, they are not the company to go with. If, when you call this company, you can not get any answers via phone, they are not the company to go with. If, when you call this company, they just want to sell, sell, sell, they are not the company to go with. If, when you call this company, they do not offer the services you request but they want to sell you something you do not need, they are not the company to go with. If, when you visit this company, you are treated with disrespect, they are not the company to go with. If, when you visit this company, you find their showroom lacking and their staff disinterested in you, they are not the company to go with. If, when you visit this company, you find staff lacking in knowledge, they are not the company to go with. BUT… if you love what you hear when you call, if you like the responsiveness of their staff, if you like what they offer – you are on the right track! There is no better ‘judge’ than a fellow business owner when it comes to selecting the right security company. Next time you network at the Chamber or any other networking event, ask around! How long did installation take? How many people came to install your system? How was the follow-up process? Did you receive training on your product and system? Are you still happy with this company and their customer service? Did you get good value for your money? Do you remember the name of the person who installed your system? You’ll know by their answers whether you’d like to work with this company, too! 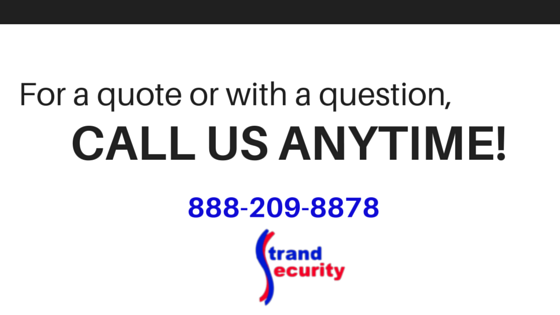 Once you have a few names of security companies, check out their online presence. Check to see if they have a website, a blog, a Facebook Page and reviews on Facebook, Yelp, Google+ or anywhere else. NOTE: Not every single online review has to be a positive, 5 star review. What you are looking for is a responsive company who takes customer service seriously, offline as well as online! When you are just about ready to go and sign a contract for services, place a call to the Better Business Bureau if possible. It can’t hurt and sometimes it helps prevent you from making a huge mistake! Last but not least, a lot of information can be gained from driving to (or by) the location of the security company you want to work with! Does this company have a sign outside? Do they have branded work trucks with their logo? Does the property look nice and inviting? Does this security company have a showroom? If all the answers are YES – you are most likely dealing with a reputable and established security business! If you are local to Maryland or the Grand Strand/Myrtle beach area and in need of a security system for your business (or home), we invite you to come meet us, talk to us and work with us! « Would You Know How To Fight Off A Kidnapper?